Nineteenth century French Neoclassical painter Jean-Auguste-Dominique Ingres wanted to be considered as painter of history, just like some of his mentors such as Jacques-Louis David and Nicolas Poussin. However, what he was remembered for the most are his exquisitely drawn and painted portraits, which were his most important legacy to the art world. 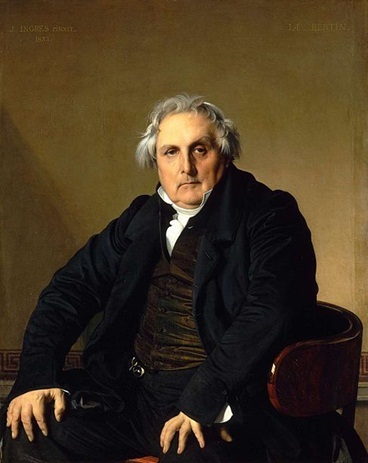 Jean-Auguste-Dominique Ingres was born on August 29, 1780 in Montauban, Tarn-et-Garonne. His father, Jean-Marie-Joseph Ingres was a jack of all trades in the arts. He was successful as an amateur musician, a decorative stonemason, sculptor and painter of miniatures. He passed on his artistic talents and Ingres learn the basics of music and drawing from his father. The first known drawing of Ingres was a study of an antique cast, which he accomplished when he was nine years old. In 1791 his father enrolled him in the Académie Royale de Peinture, Sculpture et Architecture in Toulouse where he studied with neoclassical painter Guillaume-Joseph Roques, landscape painter Jean Briant and Jean-Pierre Vigan. Roques particularly favored Raphael, which also had a great influence on Ingres. While at the Academy, Ingres won awards in life studies, figure and antique and in composition. While working in the state-provided studio in Paris together with the other students of David, Ingres developed his style that placed emphasis on the pureness of contour, which is reminiscent of realist paintings such as those done by Julien Dupré and the beautiful contours of the human body as presented by William- AdolpheBougeureau. He was inspired by several things, such as the English artist John Flaxman’s outline engravings, Etruscan vase paintings and Raphael’s works. In 1803, Ingres and five other artists received a great commission – painting full-length portraits of Napoleon Bonaparte that were to be distributed to the newly ceded prefectures to France. Napoleon, however, did not grant the artists a sitting. The latter shocked the jury at the Salon and the viewing public. Since the artists were not granted a sitting by Napoleon, they had to find other ways to produce their painting. The painting of Ingres was very elaborate and opulent, with Napoleon resplendent in his red velvet and white coronation robes. It was viewed as an image of imperial power rather than a ruler for the people, which was what was expected from Napoleon and for the artistic rendition. The jury was also appalled by the Carolingian approach that Ingres used, which, according to the jury and critics, was several centuries back. Nevertheless, his painting showed the precision of contour that Ingres will later be famous for. He stayed in a studio in the Villa Medici grounds and continued his studies, sending works to Paris to fulfill the requirements. He also did several portraits while he was in Rome. In 1810, he had to leave the Villa but opted to stay in Rome, particularly stung by the continued harsh judgments his paintings received from the Salon. At the low point in his career, with no support from the government due to Napoleon’s downfall, Ingres made ends meet doing small portraits in pencil for tourists in Rome. Although he abhorred the idea, he became pretty well known for it and today, his portraits are the ones that are most admired. The most notable was his portrait in oil of Louis-François Bertin, which he exhibited at the Salon in 1833. It was so realistic the public found it spellbinding. Still extant are some 450 portrait drawings of Ingres. 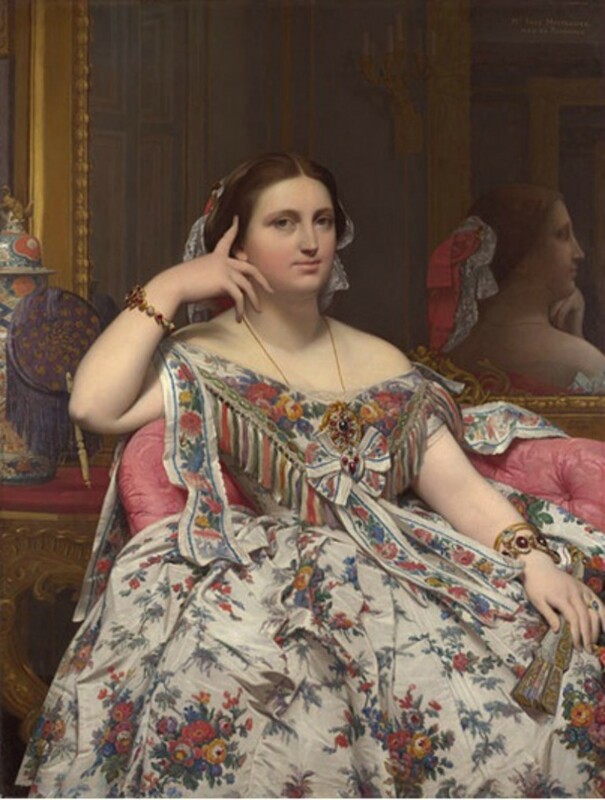 It can be said that the style of Ingres was way ahead of his time that is why people were not ready to accept it. Many artists, contemporaries and those that came after him such as Degas, Picasso and Matisse, acknowledged their huge debt to a great classicist painter. While he detested Delacroix’s works, the artist was one of the first to recognize his great skills.